The new Silver Line route to Chelsea experiences lengthy delays when the Chelsea Creek Bridge opens for boat traffic. The new Silver Line service from Chelsea to South Station seems to work pretty well most of the time. But riders are quickly learning of its major Achilles heel — a drawbridge along the route that opens several times a day, leaving buses in the lurch. The Chelsea end of the bus service has averaged around 4,400 users a day since it opened in April. One benefit is the service skips heavy street traffic along much of the course by running along a bus-only roadway in Chelsea and the existing Silver Line tunnel under the Seaport. A normal trip between Chelsea and South stations, which includes stops in East Boston and a stint in the Ted Williams Tunnel, is supposed to take about 35 minutes. But the opening of the drawbridge over Chelsea Creek for tankers and barges can tack on an extra 20 minutes or more. Haight is the kind of commuter who keeps close track of his daily trips — going so far as to log them into a spreadsheet. Some days the trips are as quick as 25 minutes, but others have taken more than an hour, like one June trip that was delayed twice by the bridge. Rush-hour traffic in the Williams Tunnel is also a problem. But the bridge is especially troublesome because it’s so unpredictable. 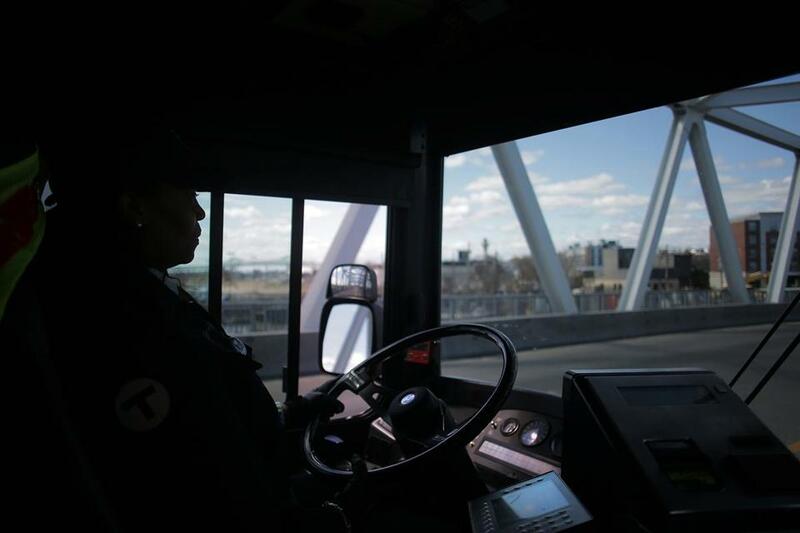 Since the new service opened, the bridge has opened as frequently as 10 times in a single day, according to the T.
And when it does, buses are left in a no-win situation. They can either wait the bridge out, or take a long, roundabout route through Revere and along Route 1A. Boat traffic through Chelsea Creek includes large vessels carrying heating oil and other fuels, traveling to a major terminal just north of the bridge. Federal regulations require the bridge to lift practically on-demand for big boats, Massachusetts Bay Transportation Authority spokesman Joe Pesaturo said. State officials have twice met with the US Coast Guard to discuss the issue, and Transportation Secretary Stephanie Pollack has requested another meeting soon, he said. Coast Guard Petty Officer Andrew Barresi said discussions with state officials and shipping companies about the use of the bridge have been “productive and positive, and the Coast Guard will work “to identify the best balance between the waterway and roadway demands.” But he did not indicate whether Silver Line buses could ever get priority. Haight, for his part, believes that kind of bureaucratic tangling would take a lot of years and a lot of effort. He thinks other improvements, such as more frequent service, could help offset the inconvenience of the bridge openings. Currently, buses run every 10 to 15 minutes, though there can be much longer waits when the bridge is open. He also recommended riders follow the Twitter account @LoganToChelsea, which tracks bridge openings, to help plan trips.